Crime is a big problem in Lewisville. In addition to the shootings and drug busts you read about in the paper, there are also crimes that don't make the news that affect many citizens. As Mayor, I will explore options to reduce crime. When I speak to Lewisville police officers, I always ask them if there are any tools or resources that they need to help them do their jobs better, and to keep them safe. I often get the same response. All they need are more police officers. Our city, with over 100,000 residents, only has 158 officers. 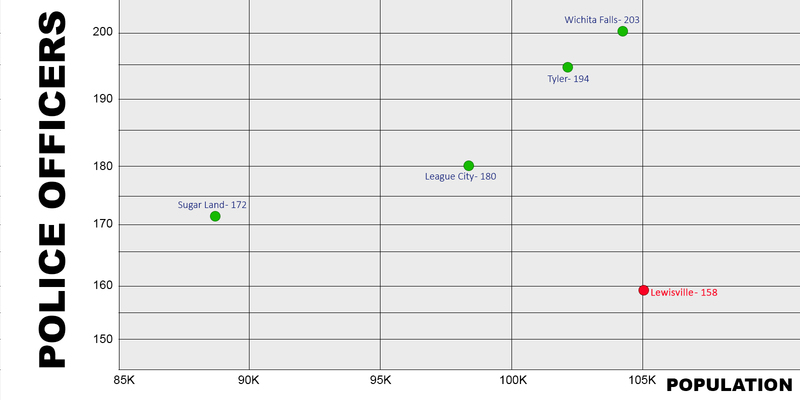 When compared to other Texas cities with similar sizes, we are understaffed. The chief of police makes due with the budget allotted to the police department by the city council, but that doesn't change the fact that we need more officers on the street. These cities, with smaller populations, have far more police officers than Lewisville. One of the most helpful resources for the police are the security cameras that some citizens have installed at their houses. If a crime is committed in or outside a house, the police can often obtain vital evidence by looking at the footage captured on cameras in the neighborhood. As Mayor, I will launch a campaign to encourage citizens to install cameras at their homes. I'll have a site setup that lists all the retailers and installation companies in Lewisville, and that has information about some of the more popular cameras. 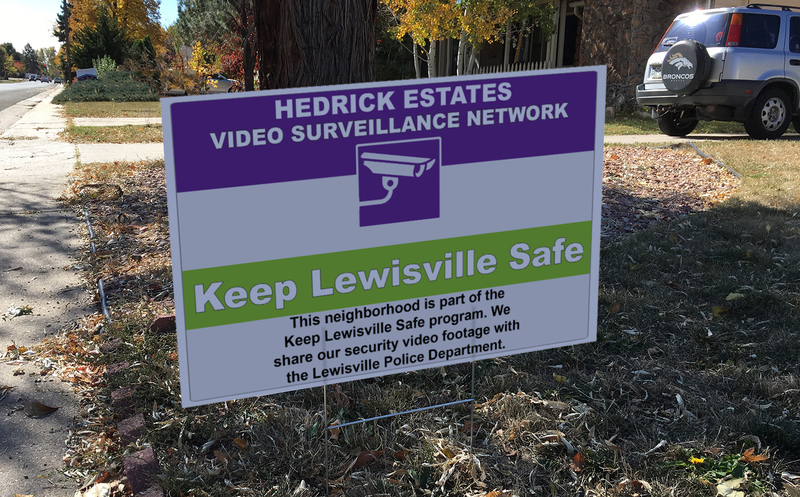 Households that have cameras will be encouraged to display a Keep Lewisville Safe yard sign. When neighborhoods have at least 75% video coverage, I’d like to put up a Keep Lewisville Safe street sign. I want Lewisville to be known for our video footage network. When thieves and criminals are targeting their next victim, they’re more likely to choose an area that isn’t flooded with cameras. If they do commit a crime in Lewisville, the police will be able to look at multiple camera angles as they investigate the crime. 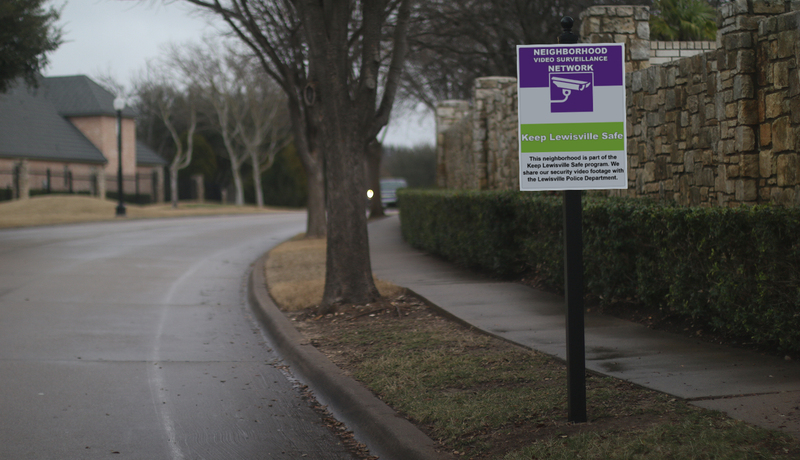 I want every neighborhood to qualify for a Keep Lewisville Safe sign. I want the Keep Lewisville Safe program to focus on all aspects of personal safety. I will work with businesses like Eagle Gun Range and Top Dog Virtual Gun Range to create Keep Lewisville Safe gun safety training nights. 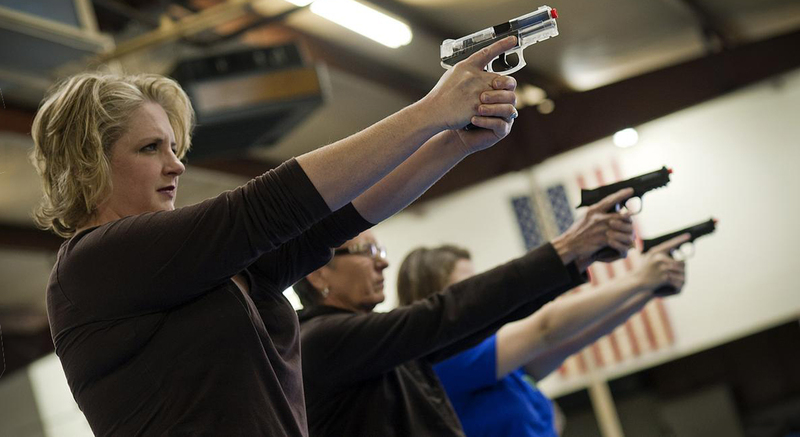 I'll speak with Lewisville martial arts and self defense schools to get them on board. I'll bring in experts to speak at Town Hall meetings about some of the dangers that we face in this region, such as human trafficking, and get them to provide us with safety tips.